To change things up a bit, I took an “in progress” picture of the roof, kind of showing how the roof looks like before, during, and after the wrap. It’s a bit more work to take the in progress pictures, but if this is something people would be interested in seeing, I could consider doing it more often in the future. 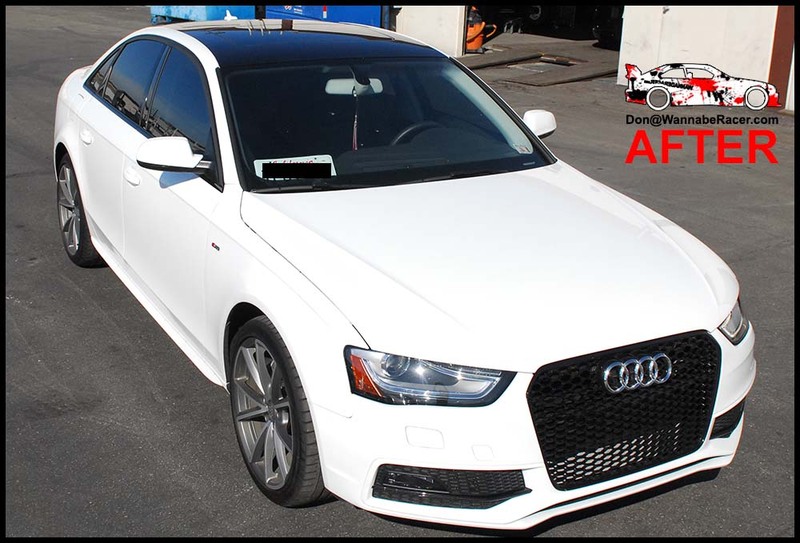 For this white Audi A4 sedan, I wrapped the roof of the car in my gloss black vinyl material. The owner of this car was from downtown Los Angeles area and came out to me in Anaheim Hills / Orange County to get the vinyl wrap work done. 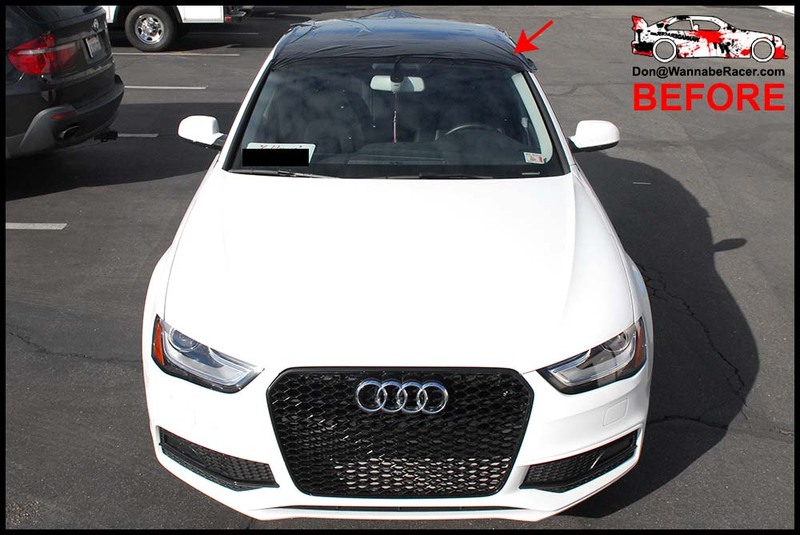 The black roof went well with the black optics package that the car already had from the dealer.